Socotra is a special world. On this island in the Arabian Sea live the people, unlike the Arabs or the Somalis. In different times the Greeks, the Romans, the Byzantines, the Portuguese had established their colonies here. For centuries the island lived in isolation from the outside world and its people formed a very distinct culture. 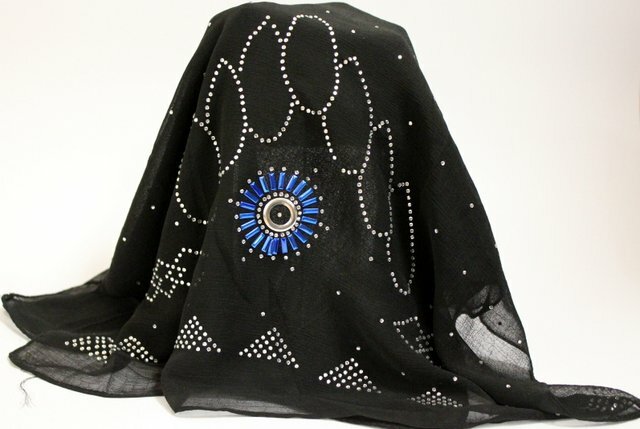 The composition of the national costume of the Socotri women includes the nuqba or naqba, which is a black scarf, decorated with small metal (usually silver) dots. 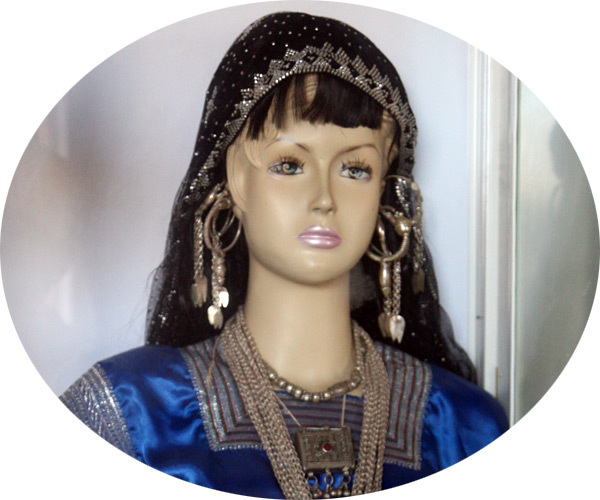 Worn on top of the nukbu is the masar to cover a not only head, but also the woman's shoulders and back. Unfortunately, today the nuqba can only be found in small village shops in remote areas of the island.